Australian oil and gas junior Red Emperor Resources (AIM | ASX: RMP) has cleared the final hurdle to take a 15% stake in the imminent spudding of the Hawkeye-1 well, offshore the Philippines, targeting up to 112 million barrels of recoverable oil. Hawkeye-1 sits within the SC55 Block and is being developed by RMP’s project partner and operator Otto Energy (ASX:OEL). OEL is an experienced Philippines hand that recently sold its 33% stake in the producing Galoc Oil Field for $108M. OEL worked up the Hawkeye-1 target with help from BHP Billiton, which has exited the Philippines yet is still contributing $25M to the drilling event. RMP is taking a 15% stake in the well for a cost capped at US$5.625M, with a cut of up to 14 million barrels upon success. 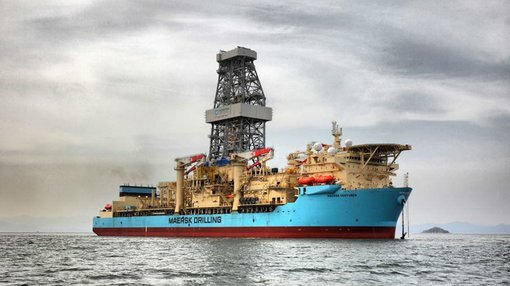 Sailing orders have been given to the ultra deepwater drillship Maersk Venturer to be on site by the end of the month, and once in position, drilling will begin within two days, with first results expected inside a fortnight. The final piece of the puzzle for RMP to participate in Hawkeye-1 was to have its 15% share of the project approved by the Philippines’ government. Just in time for drilling, RMP has received formal notification of its full approval from the Philippines Department of Energy. Securing this bureacratic stamp was the key condition RMP needed to meet to satisfy its farm-in agreement with OEL, which has acknowledged the completion of the terms. RMP’s Managing Director, Greg Bandy, says the way is now clear for RMP to participate in Hawkeye-1. “The company is delighted to have received formal approval from the Philippines government and thanks them for their support,” he says. OEL has advised RMP that the mobilisation of the Maersk Venturer drill ship to the Hawkeye-1 well location is all on schedule. RMP is solidly funded for this imminent drilling event, currently with A$17M in cash in the bank having recently raised A$5.76M through an oversubscribed capital raising. Extensive 3D seismic imaging shows the Hawkeye-1 well is likely to be a gas cap above what’s thought to be an oil leg. The mid case ‘best estimate’ for Hawkeye is 112M barrels of gross recoverable oil, yielding 14.3 M barrels net to RMP. An independent assessment of Hawkeye-1 by Jordan & Pay Exploration Consultants gives it a 1 in 3 chance of success. When Hawkeye-1 is spudded, Maersk’s drill-ship will send its drill bit to a water depth of 1,700m, hit the mudline, and burrow to the very top of the target structure around 1,000m beyond. Hawkeye-1 could hit oil within 15 days of spudding, and the timetable to the release of rig covers just 23 days – so RMP could have results quickly. Regular drilling updates are expected throughout the campaign. The well could establish a hydrocarbon system within the SC55 block where a further nine targets – including the Cinco 1.6Tcf gas target – have been established. The long-term possibility is that Hawkeye-1 could open up a new oil and gas frontier for the Philippines, with RMP in prime position to participate in future endeavours.